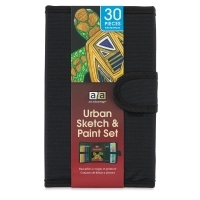 The Art Advantage Urban Sketch & Paint Set is a compact set that is ideal for taking on location. 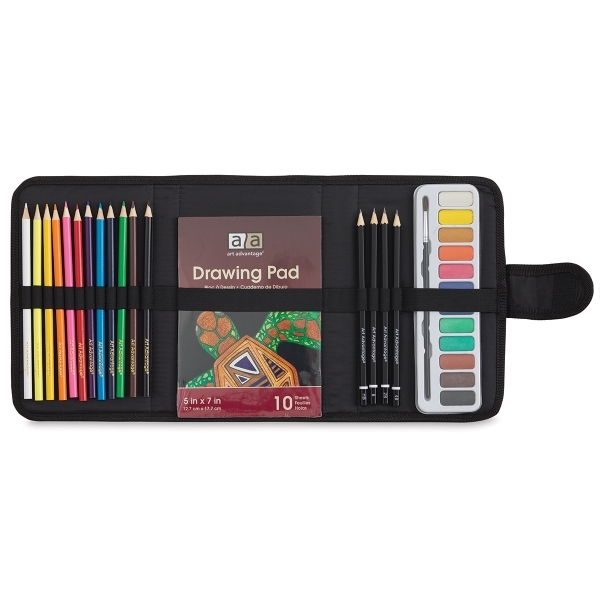 The durable black case with a hook-and-loop closure securely stores 30 pieces, including 12 colored pencils, four sketching pencils, 12 watercolor cakes, a paintbrush, and a 10-sheet 5" × 7" drawing pad. ® Art Advantage is a registered trademark.